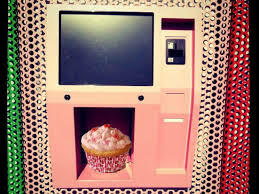 For those late night cupcake cravings now the national chain Sprinkles has opened up a cupcake ATM on Lexington Avenue on the Upper Eastside. This photo is from cntraveler where you can read more about this crazy trend that is sweeping the nation! Literally they have them all over the country Sprinkles even have a chart with color coded icons to let you know what products and services are available at any given location. Personally, I’m still stuck on late night tubs of Ice Cream from the local 24 hour Bodega. Which now that I think about it would go great with a cupcake. 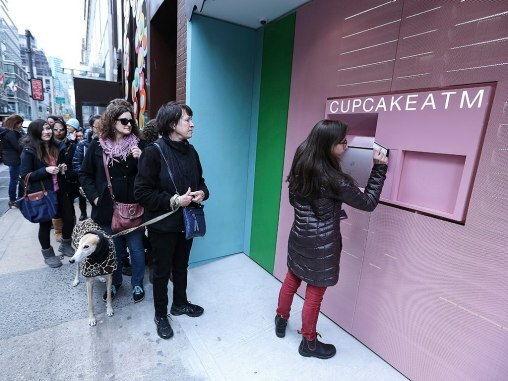 This entry was posted in NYC, Other Stuff and tagged Cupcake ATM, Cupcakes, NYC, sprinkles cupcakes. Bookmark the permalink.